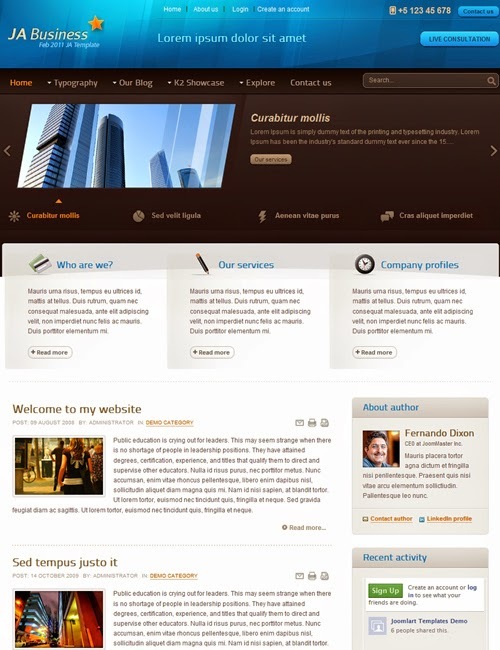 JA Business is a smart business Joomla template that has the capability to adjust with all types of business websites. It has been updated to its upgraded version 2.5.5 and now this time it comes packed with lots of powerful features and is easily compatible with Joomla 2.0 and 3.0 versions. To make your website more eye-catch you can also add some 3 party extensions along with it. Download it now.